I am a huge advocate for leaders networking with their employees, boards, citizens and their peers via social media channels. I am such a keen user, I have become the example of extreme user my colleagues use! (This is with fondness, I am sure). I first started using social media when I was a Member of Sussex Police Authority and had a lead member role for diversity and for Public Order. I was enthusiastic to hear first hand accounts of people’s experiences of policing in their own words, when they wanted to talk about it and without setting the agenda. This informal conversation was hugely useful to triangulate between official surveys, formal meetings with community leaders and official performance data. After all, it’s a well worn phrase but worth repeating: “We may hit the target but miss the point.” I was very pleased to see Sussex Officers grasp the opportunities of social media early on and engage with communities and criticism as well as praise. What Tom was referring to was the context online which existed when he was first appointed when there were many anonymous, federation and retired officers criticising his appointment, changes to police terms and conditions recommended in his report and other big changes to leadership and governance such as the new Police and Crime Commissioners. This context has changed but it appears to have remained current in Mr Winsor’s mind. In this, he is not unique. However, once the campaign was over, so was that type of interaction. People who had been ‘shouting at me’ with rhetorical questions went back to interacting on a more conversational basis largely. Context shifts. If you are campaigning or bringing in a radical change this context will affect digital interactions and noise. When that change or campaign is done, the conversation moves on. It doesn’t make the people who participated in it, bad or people to avoid. That noise, triangulated with other evidence, in my case from the doorstep, the papers, activists etc has a useful place even if difficult to bear. A modern leader does have to understand that their context shifts online, as it does offline. Context affects tone. And, as Solihull Police Commander, Sally Bourner always says “feedback is a gift”. Being Diversity Lead on the Authority isn’t quite all I thought and if there is one area I feel frustrated I haven’t achieved more in, I would choose the progression of women and more women joining operational units. The police is still seen as a male orientated world and this isn’t surprising. Look at crime watch and nearly all the appeals are made by male detectives, look at the ACPO (Chiefs of Police) profile and again, it is depressingly male. Thus, the public face of policing is male and this is why I spend too much of my time correcting people who say ‘Policeman’ rather than ‘Police Officer’. It isn’t pedantic – it is embarrassing for policing to still have this gender specific dimension. The women at my daughter’s nursery said ‘Oh thanks to you a Policeman is coming to visit’ in front of the kids. I corrected this as always. Because I want my daughter growing up believing that policing is an option for her. 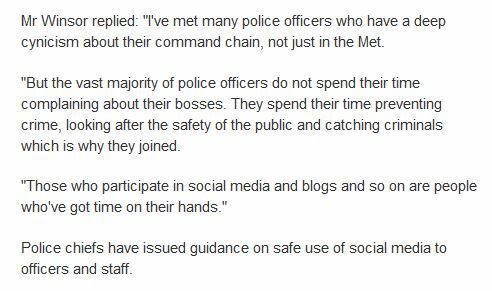 Beyond that I want her to think Operational Policing is for her, should she choose it. This is a complete change of mindset for me and I was a bit staggered to be chosen as lead for Public Order and Firearms (it could be my own fault for asking so many questions). I also wondered if this was a cynical move to have a female authority member giving credibility to sections of the service which have a genuine problem with their gender balance. However, I rolled my sleeves up and tried to learn and understand both their work and their motivations. I felt that scrutiny should be as close to the front line as possible and did my best to get to know the teams, the training, and the work. I am going to ‘pick on’ firearms and roads policing here. For many forces it is almost entirely the preserve of men. There are some things I have learned and observed. I was extremely anxious around firearms and didn’t want to handle them at all. I don’t know why, it is just how I felt. They are no more dangerous without bullets in than a hammer but just the look of them means ‘danger’ to me. The trainers that worked with me were not at all fazed by this and were really encouraging. They said, this is the best attitude to start off with and we can build your confidence but you must have respect for the potential of this kit. Indeed by the end of my next training session I was able to use a simulator which they use to test officers on and I was accurate and had good decision making times. This exercise completely changed me, I realised that I enjoyed the decision making framework and the perfectionism of the training. I felt that if I were to join the police I would probably join firearms as I would appreciate both the discipline and perfectionism, the absolutes of skills. Its an area where you know exactly where your skills rank to the milisecond and the milimetre. I have observed Silver Command and also, had taser training. I really liked the skill, teamwork and dynamic decision making. I was ‘dragged’ out by a female friend who works on Roads Policing which again is highly male dominated, to stand in the hail and see the drink-drive interventions firsthand. Though I knew it was male dominated it is still quite strange to walk into it. Saying that, the team are fantastic, completely fun and welcoming and I wouldn’t hesitate to recommend it to women. I know my friend adores it. Again, it is the world of the black and white and not many shades of grey! But, people skills and empathy are essential. The collisions we saw that night involved people who needed reassurance and compassion and I felt my friend provided that amply. She also, quite happily picks up a broom to clear stuff off the road too! If the police is truly to be ‘for the people and of the people’ the final stretch in gender equality needs to be achieved. The men within the police, especially in leadership positions are the solution to this. They are bright resourceful guys and I think they have all the tools they need to crack this, if they want to. Where there is a will, there is a way! Select good pioneers to join units they may not have considered, not alone! In groups. Women who are good networkers and able to bring to life their positive experiences in operational policing. Then let them do that. Give generously of your experience in helping women have the confidence to access promotion, but don’t try to turn them into you. Let them be the leader they are. Deal with the hygiene factors, kit, facilities, rotas that might be barriers for women. Does a strategic leader need to work full-time? Really, they can’t work 4 days usually? Challenge every assumption about these sort of ‘necessities’ for the post! If women aren’t getting through boards, perhaps you are asking the wrong questions! If your selection process isn’t getting the people you want, maybe there is something wrong with the process rather than the people? Never stop dealing with gender inequality in policing – don’t put it on the back burner. Don’t think well we have a few more women in senior management, we are done here. Don’t accept less than full equality. Policing is all about fairness and justice. Until policing is a fair, just career for women – this work isn’t done.